Tax Day arrives on Monday — which is obvious if you’ve watched any TV lately. If you’re thinking, “it feels like there are more tax-related ads this year,” you would be correct. 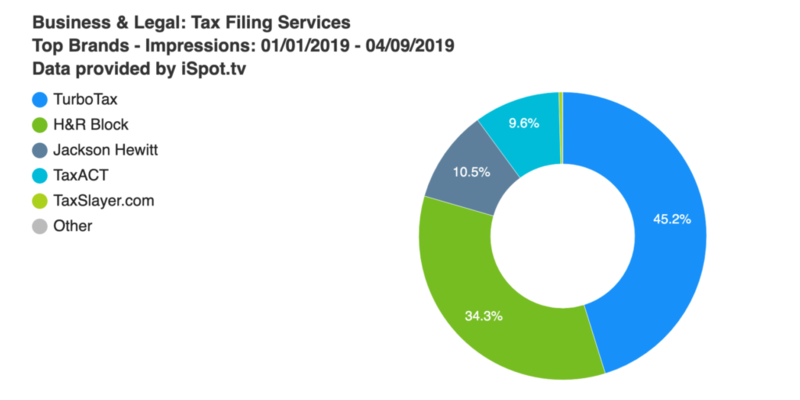 Tax preparation companies have aired almost 1,100 ads a day during the first 98 days of 2019. That adds up to 106,000+ ads, which is a 30% increase from the same time period last year. 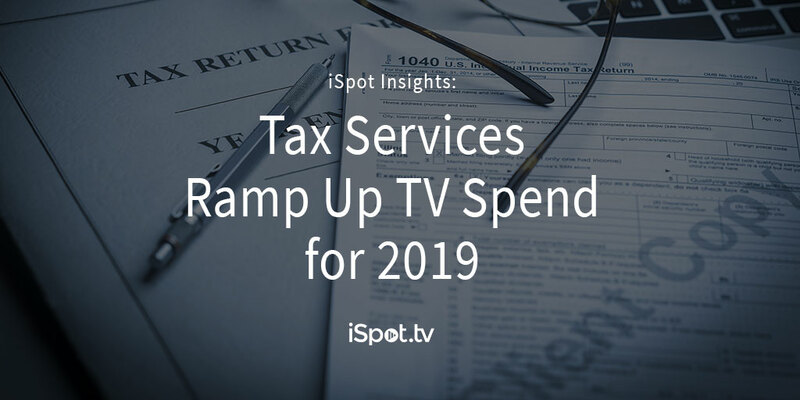 The tax services industry has spent an estimated $283 million on TV advertising from January 1 to April 9, 2019, a 13% increase from the same period last year. This investment generated 21.7 billion impressions, an 11% increase. Age demographics by impression were evenly spread, with 18-24 years old getting a slightly bigger slice of the pie. TurboTax is the heavy hitter for this category, accounting for more than half of the estimated spend and over 45% of the impressions. When you include their Super Bowl LIII ad campaign, TurboTax has increased estimated spend by 43% from last year, with a week to go. Despite a presence in broadcast and expensive ad placements such Super Bowl LIII this category is advertising across a wide range of networks, genres, and shows. No single network was responsible for more than 5.9% of inventory. By genre, reality TV delivered the most impressions (3.5 billion) for Tax Service advertisers and just above average attention performance. When the Super Bowl is chaffed out, football did not keep people from changing the channel as much as sitcoms and dramas. On the other hand, college basketball was a solid investment, with strong attention scores for the category. With the number of US taxpayers essential flat over the previous three years, tax services swim in a red ocean trying to attract and retain customers. Additionally, the Tax Cuts and Jobs Act of 2017 added new complexity for many filers, with 2018 marking the first year the Act was fully implemented. 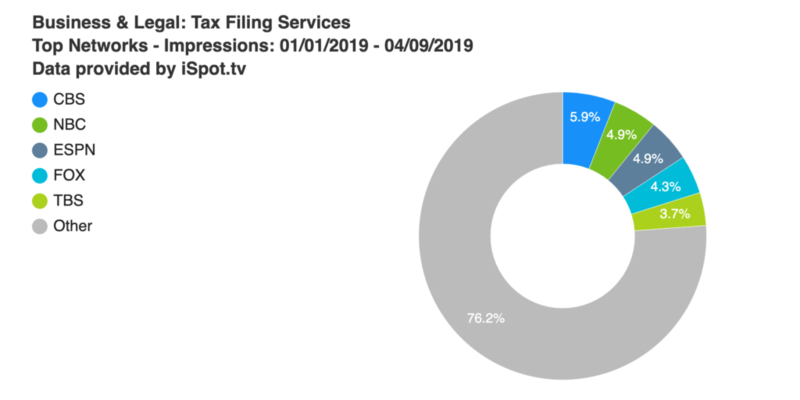 iSpot expects the pattern of increased spend to continue through the final week of tax season. Tax services are still competing for the attention, loyalty, and wallets of the 35.3 million people who have waited until the last minute to file their 2018 tax returns.